The theme of documentary is the problems on the production site relating to, for example, agricultural chemicals and contracts with large companies, and also the efforts of the local farmers to become sustainable producers and of non-governmental organizations (NGOs) to support such initiatives. It touches upon indigenous local peoples’ thoughts, contains interviews with partner organizations that support the expansion of fair trades, and describes the new prospects for the future. 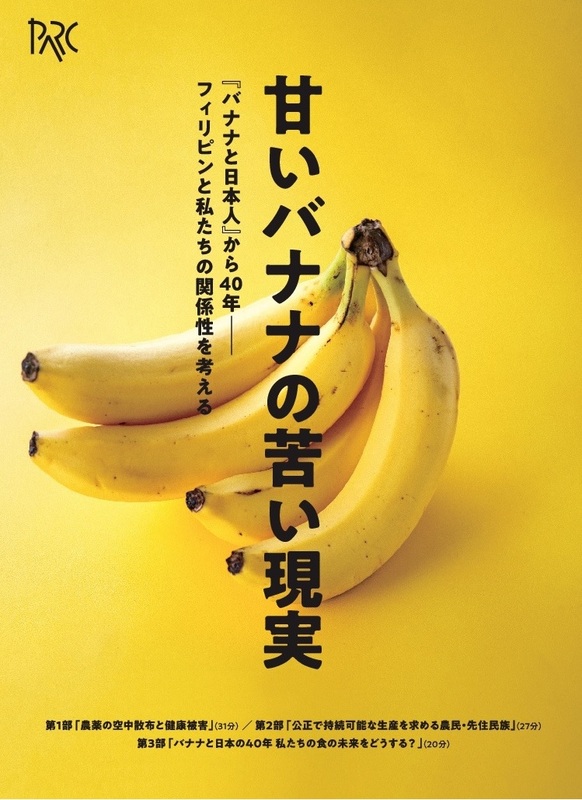 The report carefully covers the reality of the banana production site which is out of the sight of Japanese consumers who eat cheap bananas and raises a question how they should think of the agriculture of the world and the future of the food. Ryota Murakami, a film director, filmed the documentary that is divided into three sections. October 16 is the World Food Day, as designated by the United Nations. The aim is to combat hunger and promote agriculture, while the forces that makes this difficult to achieve are having the opposite results. Regional conflicts and nationalism are increasing poverty. We are especially concerned about the concentration of economic resources into the hands of just a few corporations that control the global economy. At the same time, governments have embarked on EPAs and FTAs that ignores public opinion and lead to more division in society. In just the past 12 months, the worst case scenario has become reality, with multinational agribusiness takeovers and mergers, much as we predicted over 20 years ago. This is a de facto monopoly over the global seed supply and cannot be accepted. How are we as consumers and farmers supposed to react to Bayer taking over Monsanto, while DuPont merged with Dow, and Syngenta was purchased by a ChemChina, the Chinese chemical company, except to oppose it? Our health and freedom to farm and purchase food that we can trust will now be completely at mercy of these few multinational corporations that control genetically modified crops through DNA patent rules and global agreements on intellectual property rights and other strong-arm tactics. At the same time, this year we learned that genetically modified salmon has been approved in North America in spite of protests. This is the first GM animal to be sold as food. If this is acceptable, where does it lead us next? New GM technologies such as genome editing and RNA interference are also increasingly being promoted. Examples include canola and potatoes developed with these new GM techniques. As if this is not enough, in April 2017 the Japanese government suddenly abolished the 1952 Seed Law, after multinational corporations engaged in the seed business complained that the publicly funded seed program hindered their attempts to expand their business. After only a few hours of deliberation at the Agriculture, Forestry and Fisheries Committees of the Parliament, the new Seed Law bill was passed without any concern for the possible impacts on our agriculture and food systems. 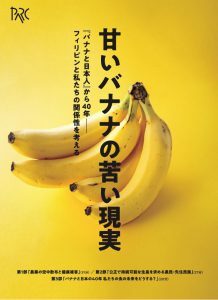 Instead, we maintain that the trend to undermine Japan’s public seed program for major crops should be stopped. We should ensure that the national and local governments will remain involved in the seed program as an essential part of our food security policy. We have clear evidence that agriculture as promoted by multinational corporations are destroying the health of citizens, in particular children. It has been admitted that agricultural chemicals are the main cause of allergies, which are becoming increasingly common, and evidence from the United States show that children’s development is impaired by such residue in food. The most serious problem is GM foods as their introduction 20 years ago has led to a drastic increase in the amount of toxic glyphosate used and consumed. However, the Japanese government keeps changing the allowed residue levels leading to higher levels of pesticides and herbicides, even relaxing the standard for glyphosate as recently as July, 2017. We need to radically change the current thinking about agriculture and get rid of dangerous chemicals from our food supply. We believe in expansion of agriculture that is small-scale and organic, with local production for local consumption, within an international framework that connects citizens around the world. Co-operation is the basis for world peace. Furthermore, we believe that World Food Day should stand for agriculture without harmful chemicals, allowing no genetically modified or genome edited foods. We will continue to fight against multinational corporations and their systems that lead to hunger and malnutrition. Isumi City in Chiba prefecture, east of Tokyo, has announced that it would be the first in Japan to serve locally grown organic rice at the city’s elementary and junior high schools throughout 2017. The project started in 2015 when they partly managed to serve locally grown organic rice. Two years have passed, and now they are ready to substitute all the rice for organic rice produced in Isumi City. It is only school lunch, but it still matters. In a year, a student (elementary or junior high school) will eat more than 180 meals at school. Supposing that rice is served 4 times a week, the student is at least served 150 bowls of rice yearly. As children are more susceptible to toxic substances, locally grown organic rice for public school lunch is a big step to protect children from being exposed to chemicals. Besides, the city says, the program is highly regarded by the parents. Isumi farmers are encouraged to grow organic rice, which is supporting biological diversity, while affecting all age groups in the community positively. The school year starts in April. At the end of March 2018, we hope that they will carry out the pledge and celebrate their new policy of serving locally grown rice for school lunch.